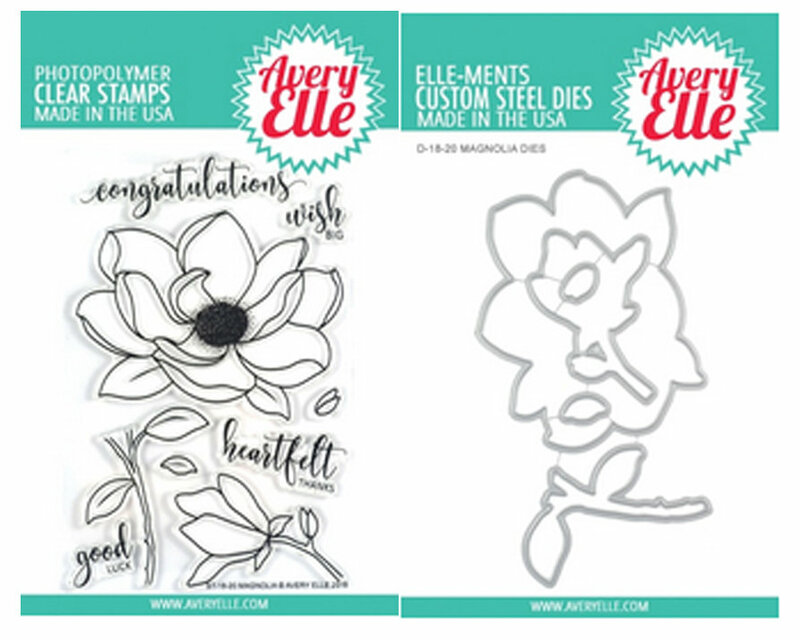 Use our Magnolia stamp set to create a beautiful and thoughtful card. Stamp a bouquet or single flower along with the encouraging sentiments. 9 total stamps. Magnolia flower stamp measures: 3 1/2" x 3 1/2"; stem & leaves stamp measures: 2 1/8" x 2 1/16"; congratulations sentiment measures: 3" x 13/16". Our Exclusive clear stamps are proudly made in the USA.